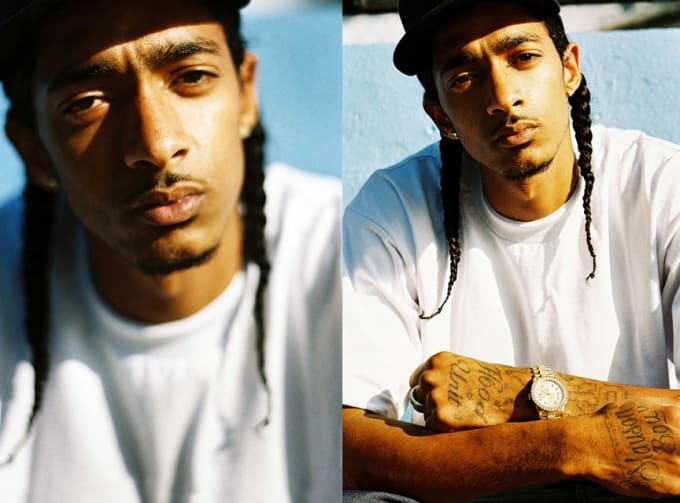 I shot these portraits of Nipsey Hussel for XXL magazine right before he made the freshmen cover so there was a lot of buzz and excite around him the day of the shoot. We shot in his neighborhood so people kept coming by to congratulate him on his success and say hello. I spent a lot of time following him around grabbing shots whenever I could. These were taken during a brief moment of calmness.